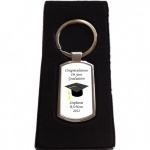 An excellent quality keyring suitable for a graduation present. 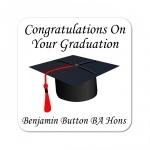 A personalised wooden Graduation coaster featuring a mortar board hat design. Available with yellow or red ribbon. 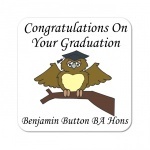 A personalised wooden Graduation coaster featuring an owl design.